Nursdoc is a healthcare recruitment agency working across the United Kingdom, specialising in providing temporary, contract and permanent staff. We work closely with our NHS and Private Clients, and are able to respond at short notice with doctors, carers and allied staff of all grades and qualifications as well as supporting case managers, corporate companies and insurance companies across the United Kingdom and abroad. At Nursdoc we believe that relationships are built on knowledge and trust. We use our knowledge to recruit only the best and most suitable candidates, offering a wide range of doctor jobs and nursing jobs to them. Our clients trust us to place the right staff in the right roles, with many requests coming at short notice. Nursdocs growing reputation has been built by the professionalism and work ethic of our doctors and nurses. If you’re a doctor or a nurse looking for full-time work or have only mixed availability, then we can help. Our dedicated team will help you through our registration process quickly, working closely with you at all stages through your journey with us. 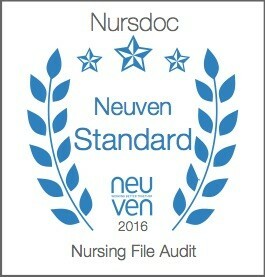 Nursdoc delivers valued based recruitment with the view to delivering the best possible care for patients. We also operate in accordance with the Code of Practice for the international recruitment of healthcare professionals and also hold full registration with the Care Quality Commission (CQC) CRT1-2370313387. Nursdoc also has a number of specialist divisions such as Nursing Direct. This is a leading provider for care at home, complex needs and private homecare. Event Medical which can provide medical cover for individuals or special events. Nursdoc International supports private and global assistance companies across the world, supplying medical services as well as medical escorts and security response. All of our services and divisions are here 365 days a year, and just a call away on 0330 555 5000.